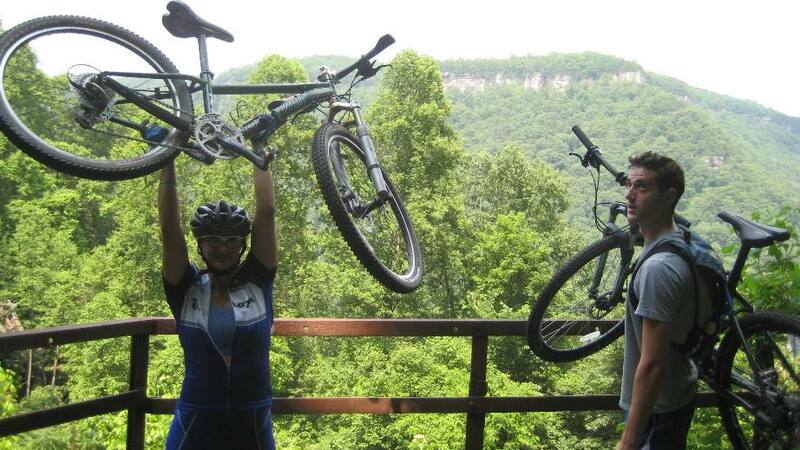 This blog post is submitted by Jonathan O’Neill, the instigator to the formation of Southern Rox, the new local lgbt rock climbing club covering the southern territories of Georgia, Tennessee, and Alabama. O’Neill designs solar panels, plays ultimate frisbee, and sabotages romantic relationships by smoking. You should have already heard this, but the South is getting a “new, preeminent” outdoor climbing club, SouthernRox. No, you’re saying it wrong. For my blog post I wanted to give a little description of my favorite southern climbing areas and tell you why they are great. Of all the recent places I’ve been sport climbing in the south, there remains so much for me to climb that I feel like I could return to the same spots over and over again for a year and still be entertained. Not a mild sitting on the couch watching my favorite TV show on Netflix entertained, but a Russell Crowe about to go to war entertained. Me after my first trip to the New with Laurie, Nate and Alex. See look, ‘Mind blown!’. So I’m really excited about being part of a group whose purpose is to get outdoors and climb in the southern area. Living in Atlanta, Birmingham, or Chatty has the benefit of being only a short trip away from quality climbing locations. Clearly Chattanooga is the winner here, and they are really at the heart of all this and Atlanta and Birmingham are just along for the ride. Foster Falls, TN: If a climbing spot has a swimming hole with a waterfall that you can climb and a place called the red light district, it never gets old. The red light district btw is tucked away spot where you don’t have to worry about shocking all those nature loving librarians when a way-gay iPod goes on shuffle super loud. The New: Any place that is home to a gay climber Mecca convention and can be reached in less than half a day gets on this list by default. If you don’t like where the convention is located, you can complain to the management. But for its real merits the New has free water soloing, miles and miles of cliff lines, great mountain biking and a super secret place I’m not going to tell you about so you don’t attract attention to it and then have it get overwhelmed by penguins. 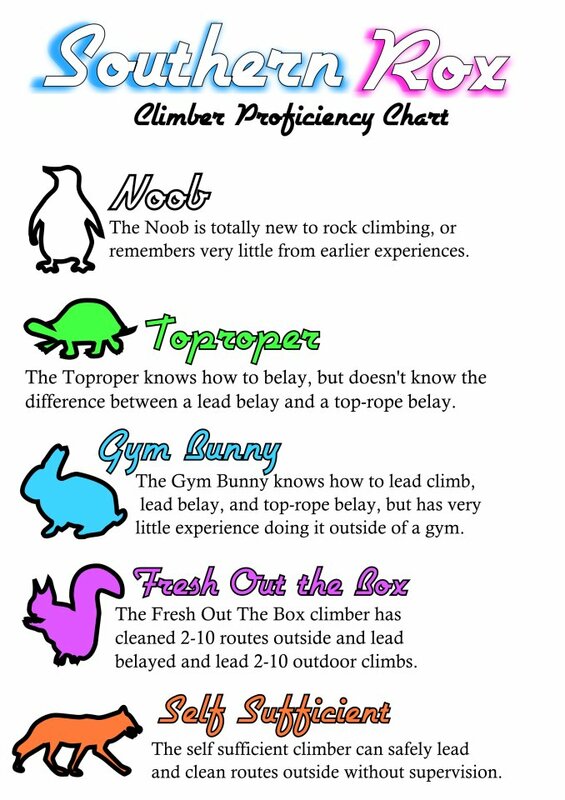 (If you don’t know what a penguin is, see the Southern Rox FAQ section about climber proficiency (see image below). And as a note of caution, please be careful when travelling around Fayetteville, some of the boy scouts have AIDS. Laurie and Nate in triumph after 12 miles of boy scout trails (of tears). The Red: The highlight for me was the shopping center of sport climbing at Muir Valley, a privately owned area of 400 acres and 7 miles of cliffs. They were putting up nametags when I was there so expect to find your way around like you are looking for your favorite shampoo. 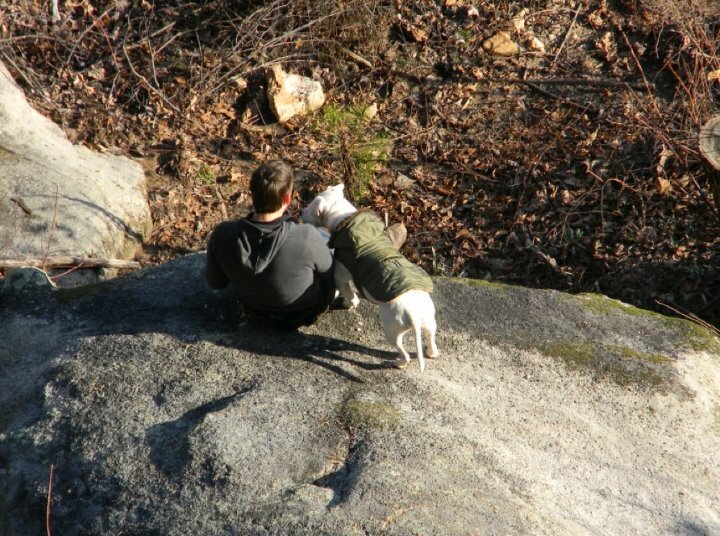 It was below freezing that day, the rocks felt like razors and the local walmart was having a special on undersized dog jackets with redneck-fabulous inspired styling. 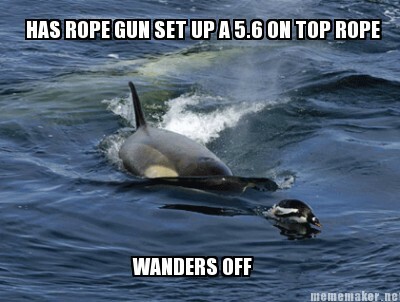 Laurie depicted as an orca whale chasing after little penguins and giving friendly reminders that SHE DID NOT JUST SET UP A 5.6 SLAB FOR HER TO CLIMB! Number 1: Because we live here in the south amongst all this great outdoor climbing. Why start a climbing club to do anything else? Number 2: Because it’s awesome to climb with other LGBTQB ppl. The 2nd B stands for Bromance in case you were wondering. 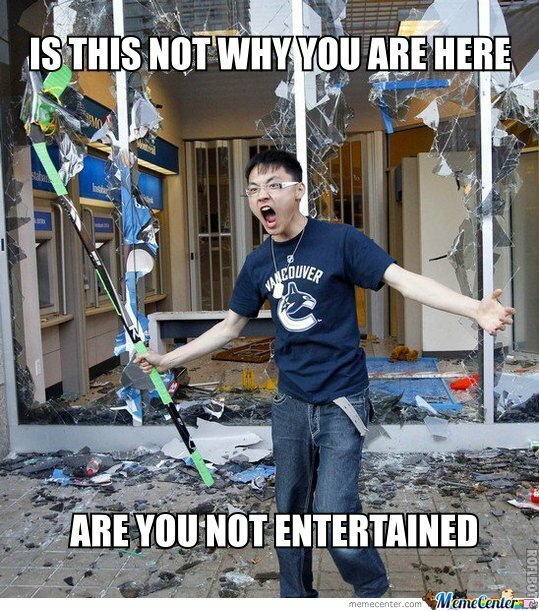 Hey, we’re an open club. Number 3: Because having an outdoor climbing group without Alex Rowland is like having a free hotel breakfast buffet advertised as a hot fresh breakfast but only turns out to be that crappy waffle maker and cold stale prepackaged garbage. Check out our Facebook Page. If you are ever in the dirty dirty, look us up. This entry was posted in Climbing Info by jonnyomd. Bookmark the permalink. Link to the FB page redirects to this page.